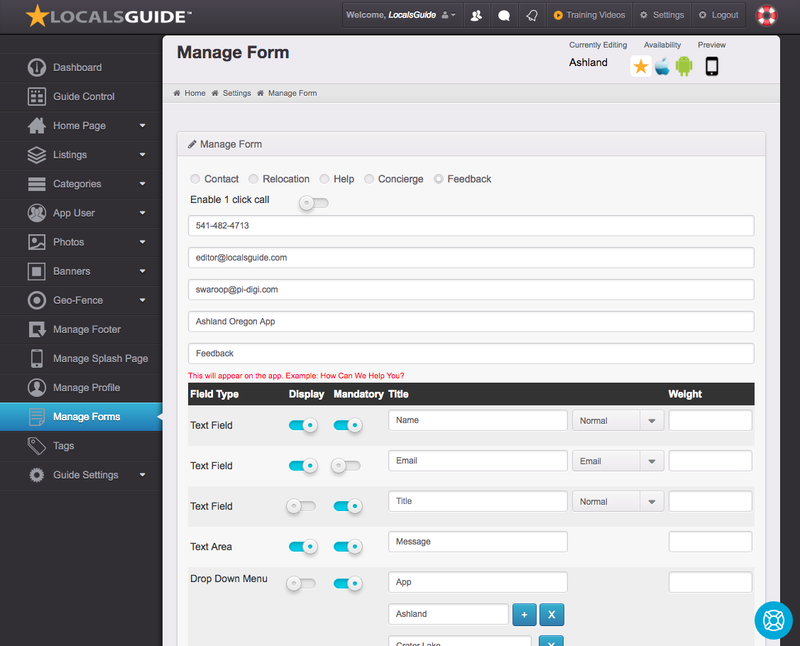 Found in the left menu of Guide Control, Forms give you direct control of all mobile guide forms. Contact: Accessible through the mobile footer. End users can send information to a specific contact address.